Why Is Evolution So Difficult to Understand? - READY... SET... QUESTION! Richard Dawkins is an evolutionary biologist that held a position at the University of Oxford as Professor for Public Understanding of Science, he is the founder of the Richard Dawkins Foundation for Reason & Science, and a renowned author of many books. If his above quote is true, and lack of understanding is the reason why some reject evolution, then we must do a better job of educating the public. According to a 2014 survey by the Pew Forum, only 33% of Americans subscribe to the idea that humans evolved into existence via natural processes. With a 0.6% margin of error, this survey suggests that 67% of Americans do not subscribe to the idea that humans evolved into existence via natural processes, therefore, Mr. Dawkins believes two thirds of our population does not understand evolution. This is a major problem for science education due to biologists’ claim of evolution to be foundational to their course of study. How could this be? How could such an important, underpin of an enormously important field of study be so misunderstood? Could it stem from the idea that most people just don’t know what biological evolution is? In my book, What Is Evolution?, I dive deep into many questions, but the question of why evolution is so confusing and misunderstood runs throughout the book. There are many reasons why the public does not fully understand this topic, like the fact that no biologist ever defines evolution the same way as another and the fact that many words like adaptation, domestication, trait variation, and speciation are used interchangeably in place of evolution. Yet, the main reason why most Americans are so confused on this subject has to do with public education and its failure to tell us what biological evolution actually is. This fact is so important that I chose to outline it on the back cover of my book. Want to learn more? 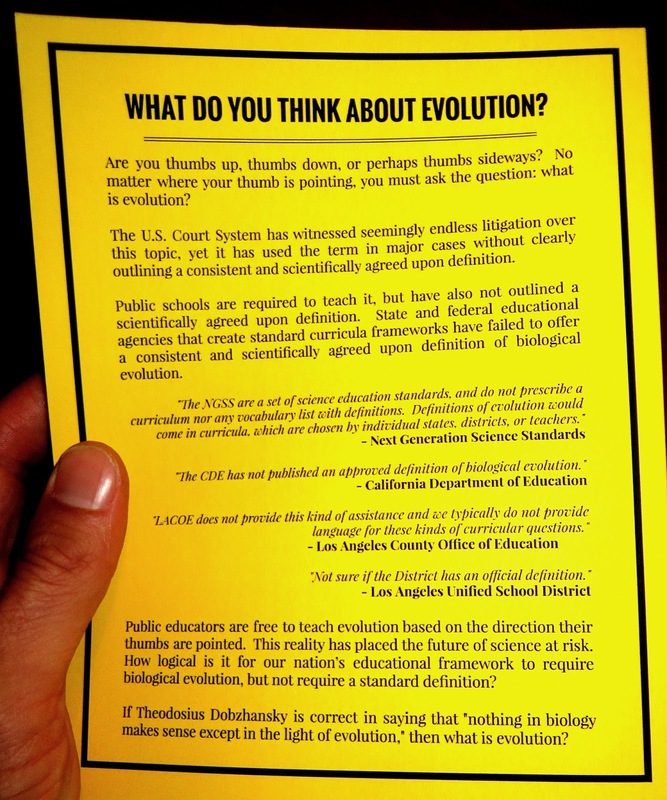 Subscribe to this blog and purchase a copy of my book, What Is Evolution? Previous PostAre Questions Part of Science?Next PostWhat are the chapter titles?